Posted in Latest News on 7th December 2016 by Dickinson & Morris. Here at Dickinson & Morris we’ve a wealth of fine food expertise – our master baker Stephen Hallam shares 12 days of Christmas tips to help make your festive spread extra special. Season’s eating! 1. 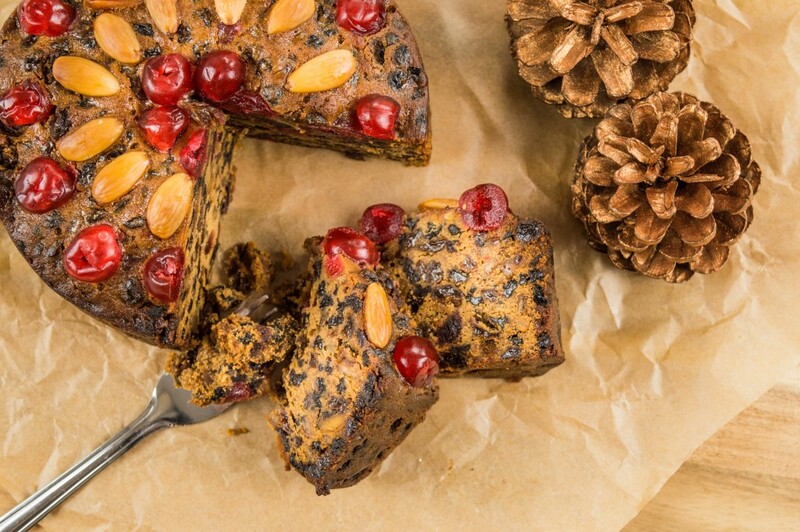 For indulgent festive snacking we recommend our traditional Melton Hunt Cake – a mixture of vine fruits, cherries, almonds and rum makes this rich, fruity cake the perfect companion to a mug of seasonal toddy, or a tasty alternative to the Christmas pudding. 2. Cut down on your festive To-Do list by getting the marzipan for your Christmas cake icing from our Shoppe – perfect if you’ve prepared your cake in advance. Or, if you’ve not had time to make a homemade cake, our Melton Hunt cake makes an excellent substitute. 3. 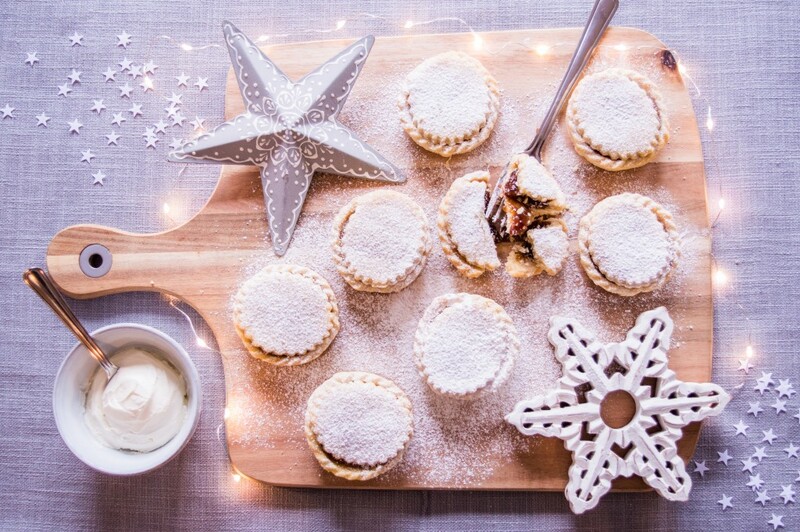 Keep a pack of the very best Mince Pies on hand throughout the festive season. 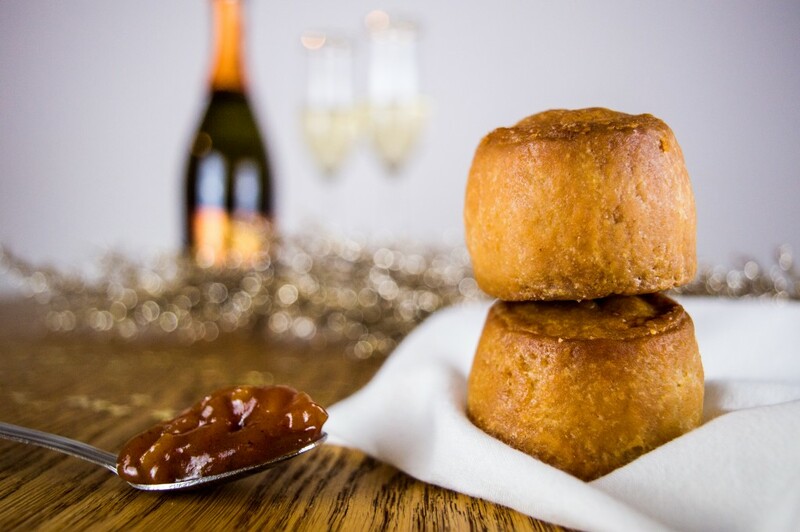 Ours are made with tender sweet pastry and our own mincemeat filling. Whether treating carol singers or welcoming guests these delightful bites capture the delicious magic of Christmas. 4. 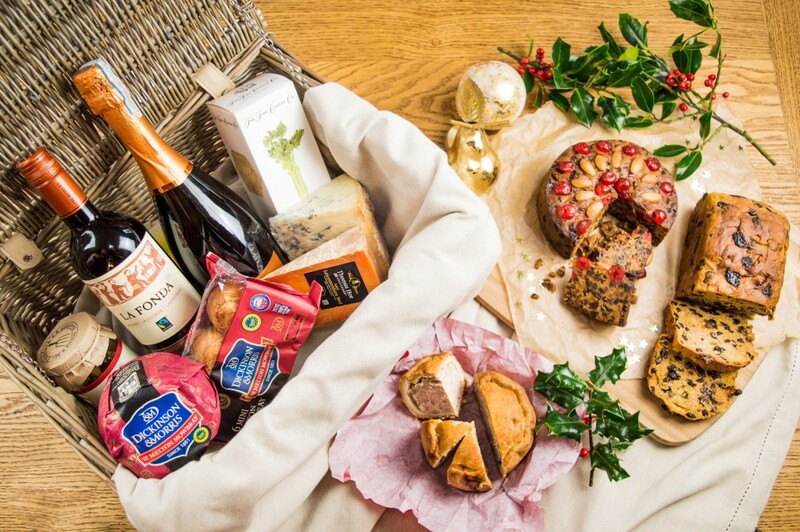 Spoil the person who has everything with a luxurious hamper full of delicious temptations. Our hampers contain handpicked produce guaranteed to satisfy the most sophisticated of palates. 5. Prepare yourself for unexpected visitors over the seasonal period – keep one of our Pork & Chicken Pies in your fridge to form a hearty centrepiece to an ad-hoc dinner shared with company. 6. 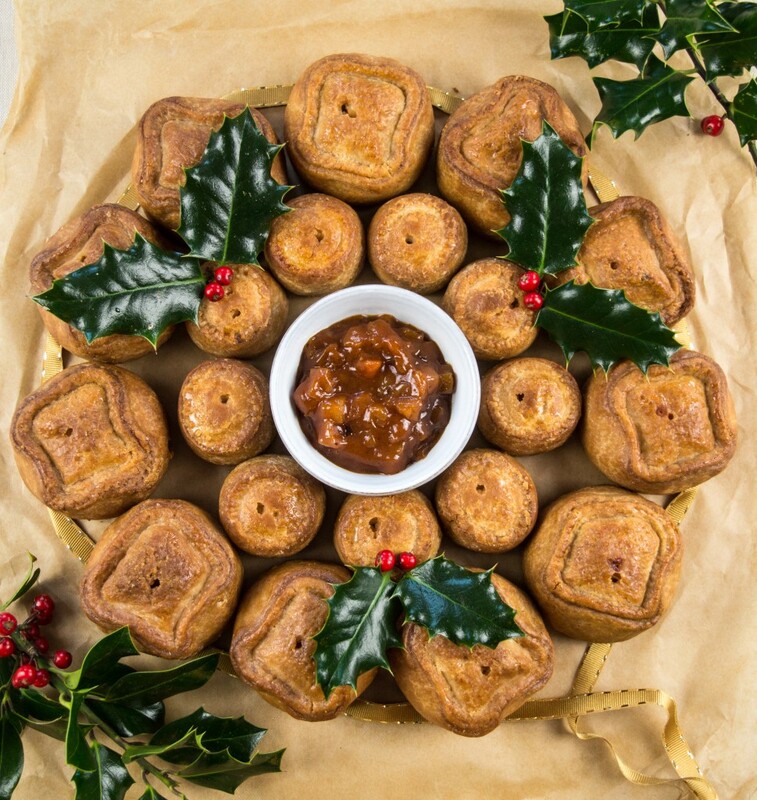 Build your Christmas Eve buffet around our Pork Pies – fill your table, slice your pies, spoon on tangy chutney and share the joy of seasonal eating! 8. The key to giving your turkey an exquisite texture is taking time over your stuffing. Add breadcrumbs, sage and chopped onion to our sausagemeat to preserve a plump and juicy bird throughout the cooking process. 9. 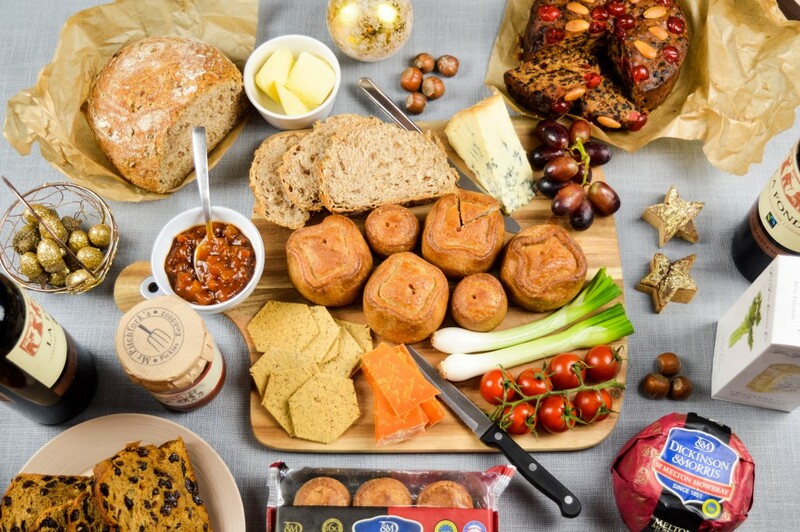 Add a perfect plateful of our Melton Mowbray Minis to the canapé spread at your festive gathering. Made using our age-old recipe, combining perfectly seasoned British pork with short, crunchy pastry. There’s always room for one more at Christmas! 10. Still on the lookout for special stocking-fillers for a magical Christmas morning? We’ve a selection of edible goodies for sale in our Shoppe. 11. Beat the post-Christmas blues with a mouth-watering showstopper for your Boxing Day buffet – our Melton Mowbray Pork Pies are spectacular as a Pork Pie wreath. 12. Add tang and texture to your turkey sandwich – complement your Christmas bird with quality condiments. We sell a range of chutneys and relishes including our popular Melton Red Chutney and Picalilli.